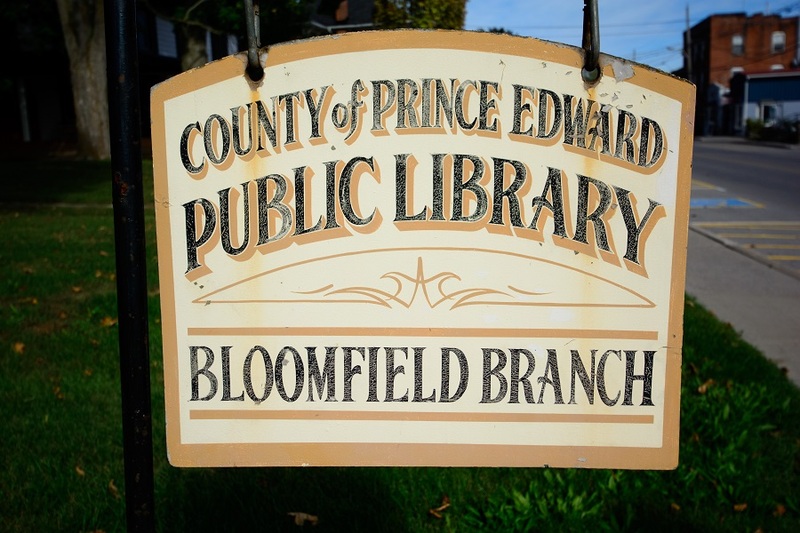 Prince Edward County’s library board received councillors’ go-ahead to tender a proposed $2-million expansion to its Picton branch library, but not without some consternation about costs and needs. The board appeared at Thursday’s committee-of-the-whole meeting in response to a request council made at budget time for a detailed overview of the project, its cost estimates, and alternate funding sources after anticipated costs increased $800,000 from $1.2 million. 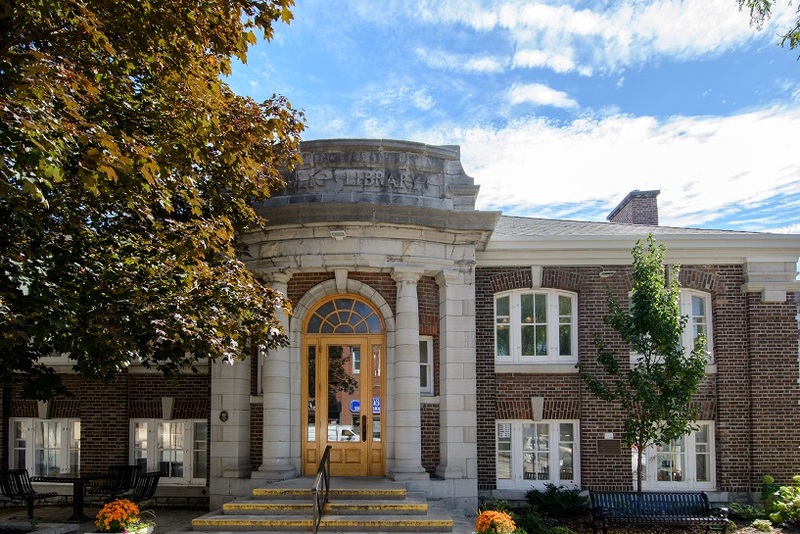 Library board chair Devon Jones told councillors the project is necessary because the 1907 Carnegie library, which is the hub of the six-branch system is simply too small. 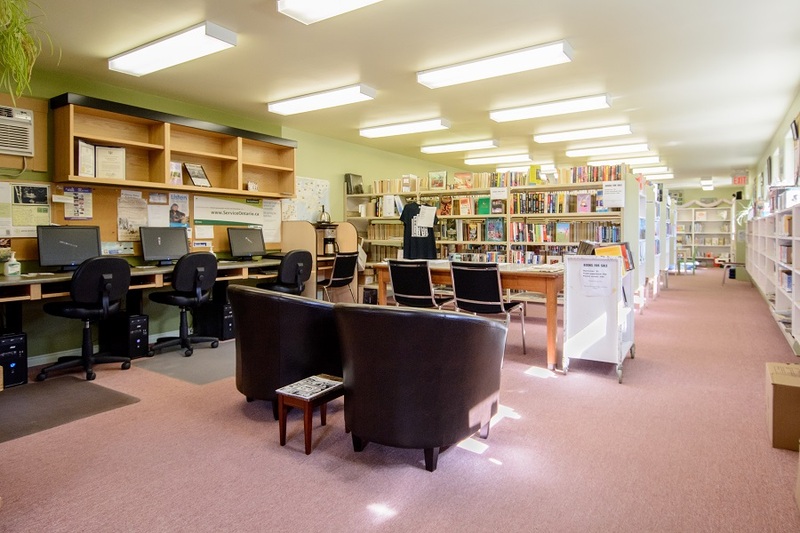 The Library’s chief executive officer, Barbara Sweet, indicated almost 50 per cent of the library’s collection resides at the Picton branch. She spoke of the facility’s value to residents of all ages with programs ranging from literacy tutoring programs and Makerspaces and STEAM programs that assist in youth development; connectivity for entrepreneuers and the self-employed; and programming for seniors that combats social isolation and contribute better health outcomes. A Library Services Indicator says the system offers $437,000 in value to residents’ well-being and enjoyment monthly. She said additional spaces for collections, programming, and performances that stimulate and inform residents are envisioned as part of a renewed facility. Architect Brian Clark told councillors the project envisioned with more than double the 6,000-square-foot facility by adding 5,300 square feet of new floor area, plus a basement area of 1,680 square feet. There will be a new entry on the lower level off a proposed Armoury Square, improving accessibility. The two current washrooms will be augmented to seven, with each floor covered with an accessible washroom. On the upper floor, there will be collections, meeting rooms, reading rooms and office areas. 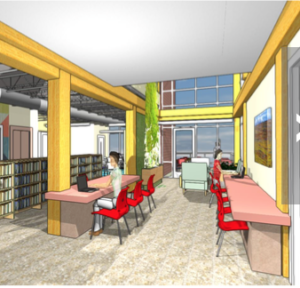 The lower level will feature a technology area, a Makerspace, a computer cafe with an outdoor balcony and sitting area, a sound room, a children’s library and general programming space. The basement will be a multipurpose lecture area with access to the outdoor courtyard. Clark said the upper and lower floors will be linked by a two-storey lounge that will have a green wall biofilter to increase air quality and improve ventilation. There will also be improvements to lighting with LED fixtures equipped with motion sensors and occupancy sensors. There will also be water conservation materials and a rooftop solar system Clark estimates will reduce annual operating costs 10-15 per cent. The architect said the Library is moving forward toward a heritage approval and a zoning amendment application to facilitate the build. With site planning and building applications ahead, he envisions tendering in April with project start in June and a 14-16-month construction period. Clark told council planning has been difficult because of the nature of the land the branch sits upon. That reality has been the driving force behind the higher cost estimates envisioned. “Costing has been complex because of the steep and difficult site, flanked by The Armoury and Regent Theatre with almost all access during construction over the Armoury parking lot to the south,” he said, adding both neighbours have been supportive of the build. Clark also noted that while doubling floor space, every consideration has been done to reduce both project and operating costs. The project’s fundraising chair, Alexandra Bake, said as of March 8, $1,545,535 was raised, which represents 77 per cent of the total. Some $260,000 was raised through bequests, $100,000 came from the John M. and Bernice Parrott Foundation, and $320,000 through the County’s 2018 and 2019 budgets. Another $538,000 is reserved for the project through dedicated development charges revenue, while the public has reached $326,000. “Grassroots support from all over Prince Edward County has been enormous and overwhelmingly heartwarming for my fundraising committee and I,” Bake said, adding much of that community contribution has come in individual donations of $20 and $50. By going to tender, she said the Library would move to corporate and foundation canvassing. Bake expressed confidence that through those commitments, scheduled fundraising events, and the municipality matching its 2018 and 2019 contributions with another $160,000 grant in 2020, that $2 million budget would be realized. Even without the municipal contribution, Bake said her committee would remain committed to seeing every dollar raised. Jones concluded by tendering now, questions about the total cost could be answered and plans made regarding additional fundraising. She also left open the possibility that some aspects be postponed, like elevator installation or finishing in the basement. She said there’d be no cost to the County to prepare tendering documents at this time. Councillors took turns asking about the necessity and fundraising plan for the expansion. While Bill Roberts said he believed public libraries offer an essential service and cited studies about the importance of investing in that, he asked about the fairness of investing in one central branch, rather than addressing the future of the entire system. Jones replied that all six branches have had capital projects over time. She also noted that Picton is unique in that it acts as a hub for distribution and inter-library loans activities. It also houses equipment, like the 3D printer, that are taken to other branches and schools. 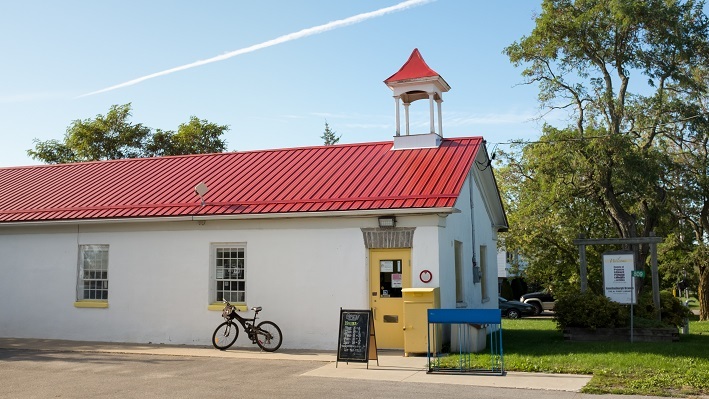 Stewart Bailey said he wondered if critics would ask how council justifies the “nice-to-haves” in the project, like a music studio and the 80-seat lecture area when the County just maintained a public space in the Picton Town Hall just down the street. Ernie Margetson indicated he had concerns about cost overruns, particularly in ongoing operations. “It’s an ambitious project with a big budget and I’m a little bit concerned about the budget escalating. I know we’ve been given a projection of the utility costs, but have they done operating costs?” he asked. Margetson was concerned about a claim staffing wouldn’t increase as he felt custodial costs would surely rise in a larger building. Jamie Forrester echoed those concerns. Forrester also said he’d like to ensure that if the project is tendered that everything is included so there are no surprises later. Bailey also picked up on the staffing question and asked for clarification, given health and safety implications of those staff doing more. 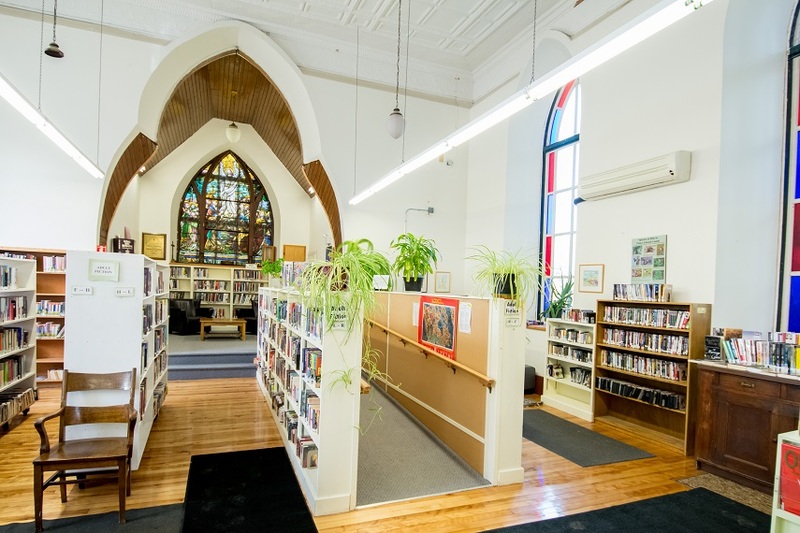 Sweet replied that currently, there’s not adequate staff space in the Picton branch so the project would improve sightlines and functionality. It also may allow some staff in Wellington to be moved to Picton, offering more space for the County Archives to grow. In light of questions from councillors about funding and timelines, chief administrative officer James Hepburn said if a budget is approved, that usually allows a project to go to tender. He advised council the library board likely knows the tender could come back over budget or under budget and the only way to know that is to put it to tender. That said, he felt more information sharing was necessary to give staff a fuller picture. He said staff has suggested the library board present more information about funding possibilities including debt funding. Mayor Steve Ferguson said he’d be more comfortable with additional information, but added tendering is way to find that. He said those questions could be addressed when council voted on the tender returns. Clark confirmed that was the library board’s intent. Councillors also debated that potential $160,000 ask for 2020, which Hepburn said hadn’t been brought up before. 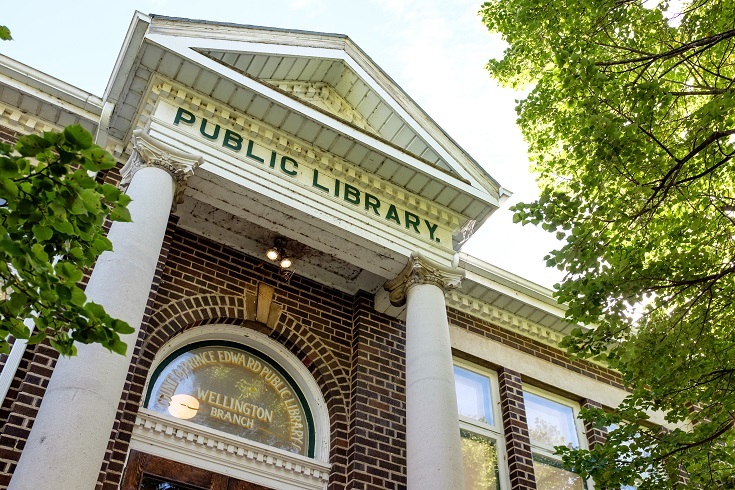 He advised council they could choose to pre-commit the money, but they don’t have to commit it, stating the library board would have to understand the risk that it may be looking for another source for those dollars. Councillor John Hirsch said in talking with Bake, he was comfortable proceeding.